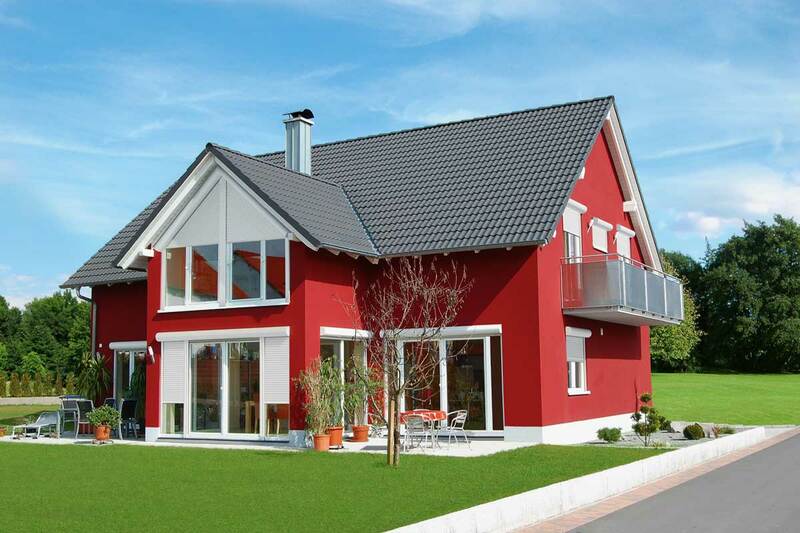 Lower energy consumption, more convenience and scope for design and lower installation costs. 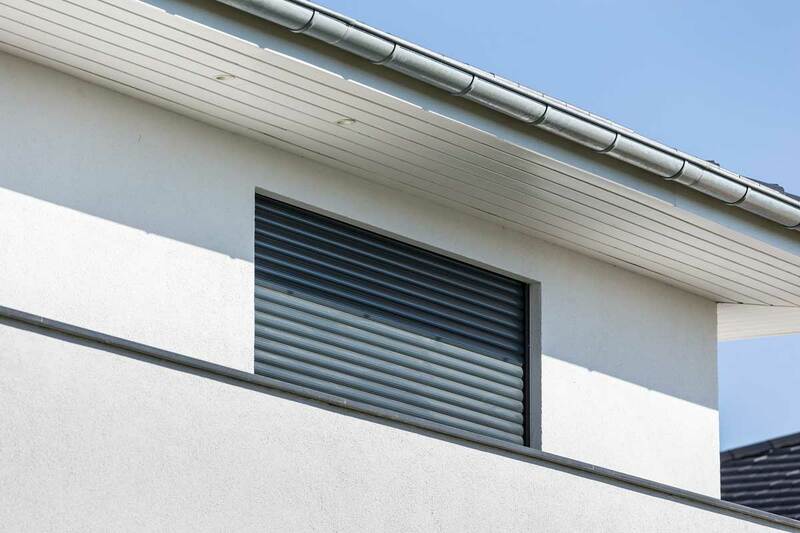 Our bespoke aluminium roller shutters are the ideal solution for your modernisation or new-build project. 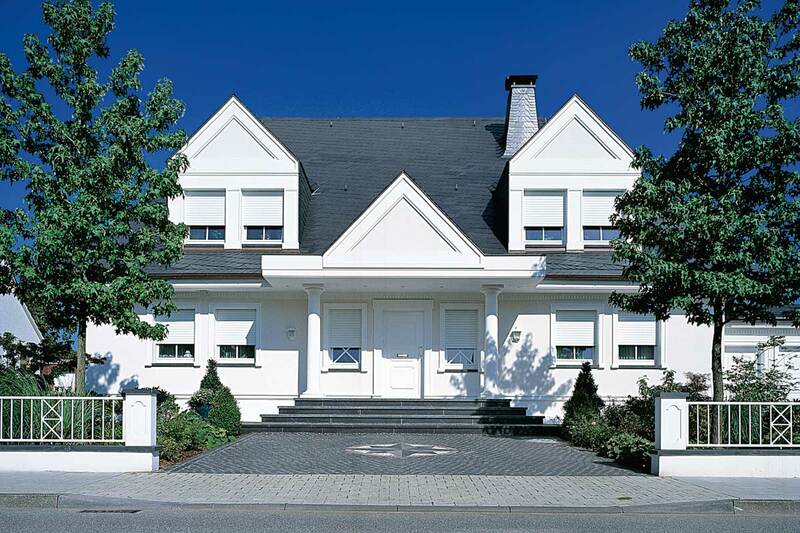 German manufacturing and the best-quality materials ensure lasting benefits. 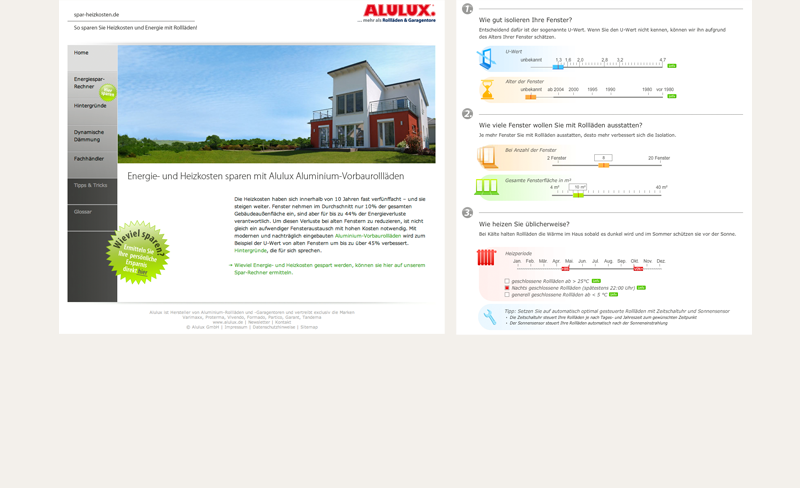 Alulux brand-name systems minimise heat losses and reduce heating costs. 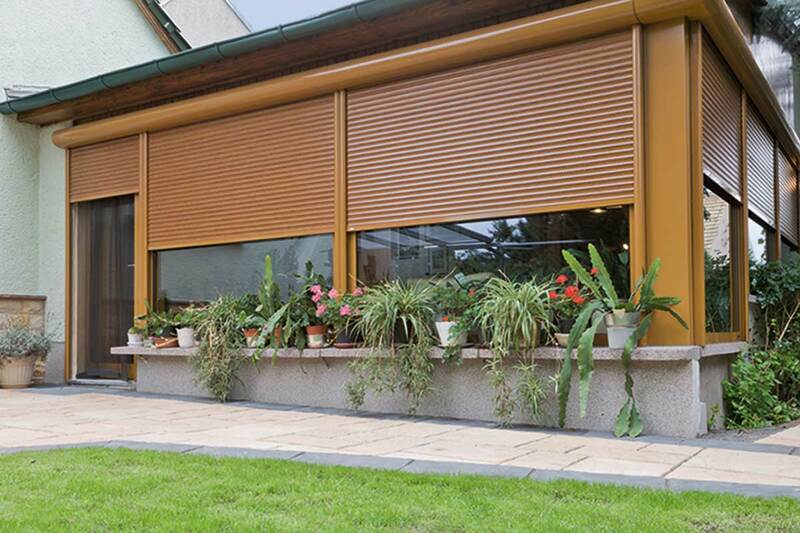 They offer comprehensive protection and improve the indoor climate, even in summer. 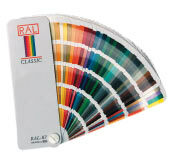 They are notable for the variety of designs and features. 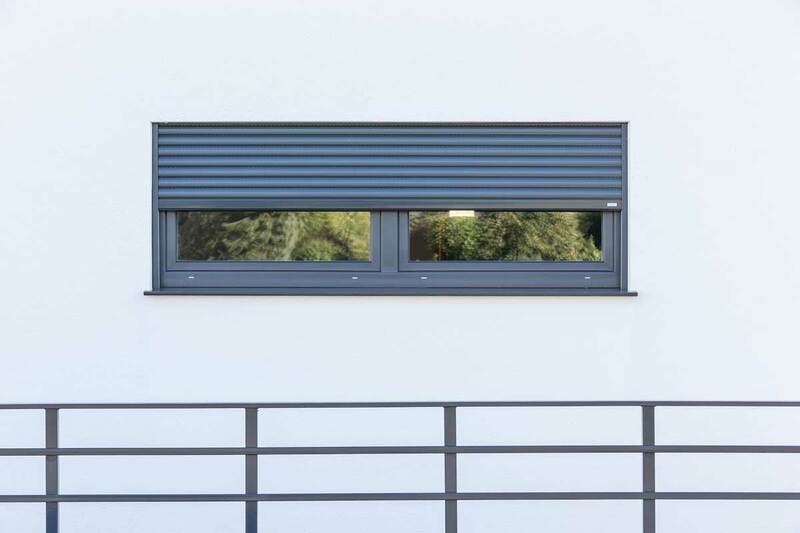 Whether you opt for front-mounted roller shutters or top-mounted systems. 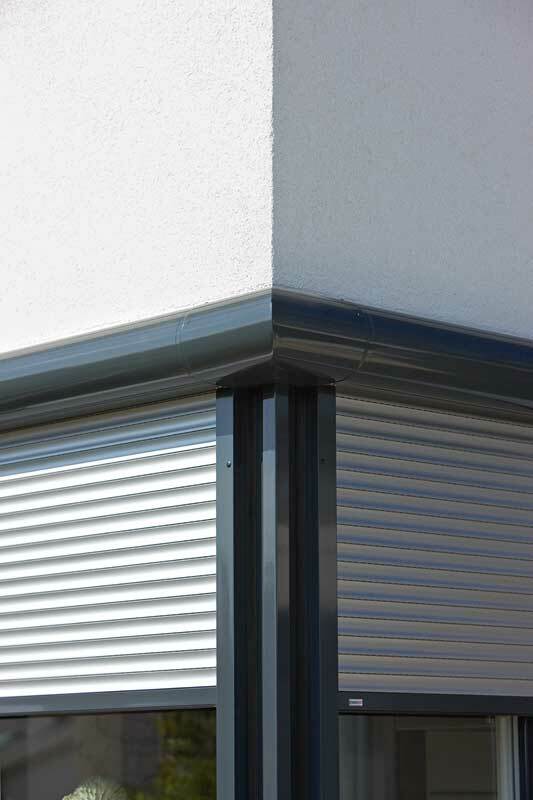 Our roller shutter systems are composed of high-quality solid aluminium. This makes them light and sturdy at the same time. 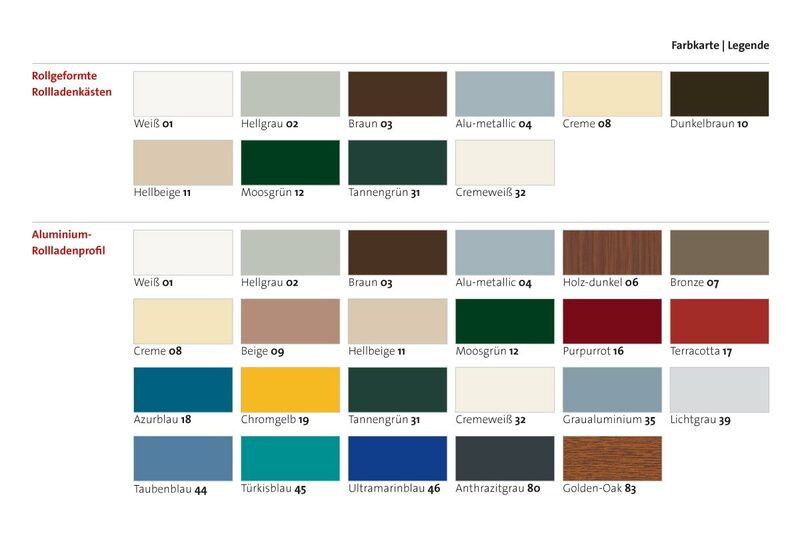 They are largely resistant to corrosion and thanks to our thick-coat stove enamelling they never need repainting. 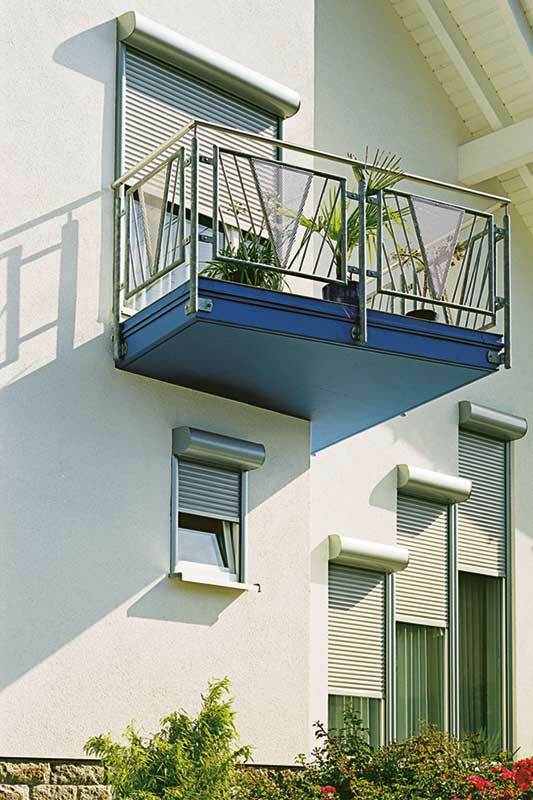 Aluminium provides a high degree of precision in manufacturing and high durability. 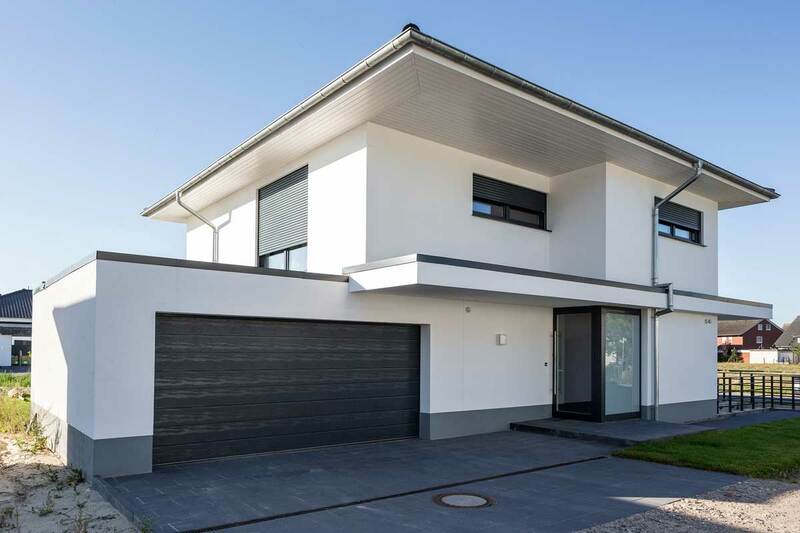 The advantages offered by aluminium cannot be achieved with wood, for example – including when it comes to price. You determine how much it is possible to see in from outside. 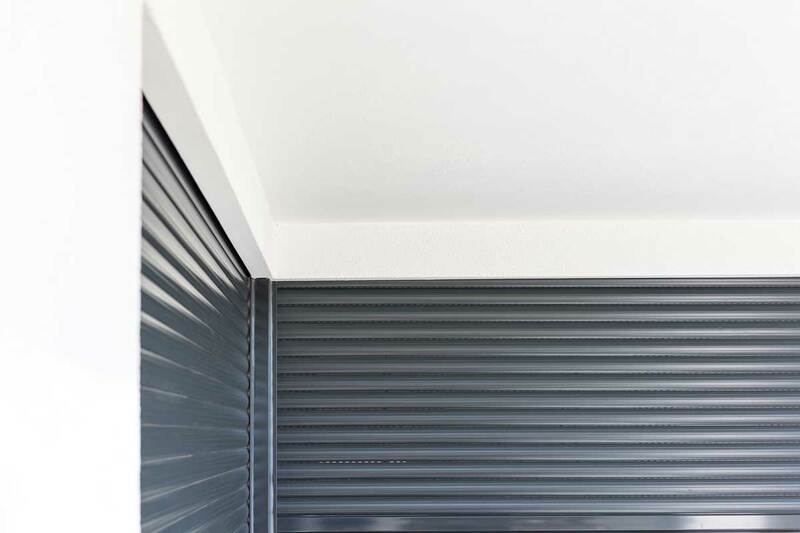 Simply open and close your roller shutters as much as you want at any moment in time – whether that’s completely open, half open or somewhere in-between. 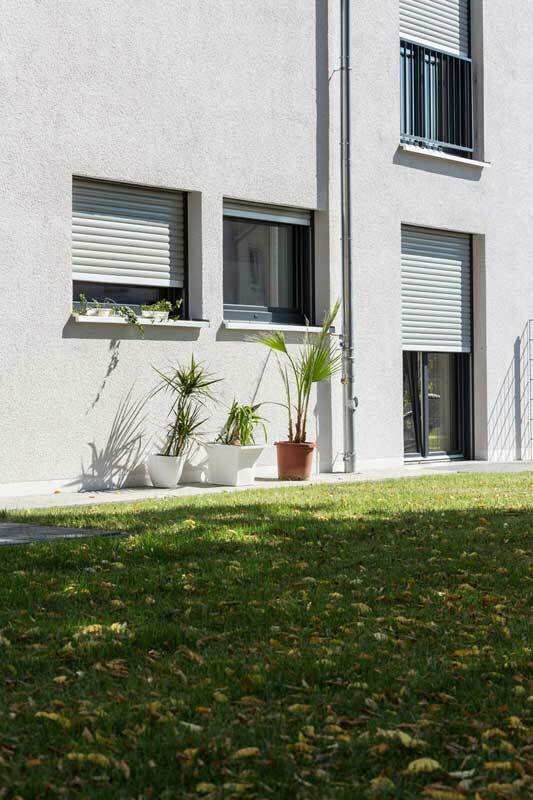 Open your roller shutters more or less with complete flexibility according to how high the sun is in the sky. 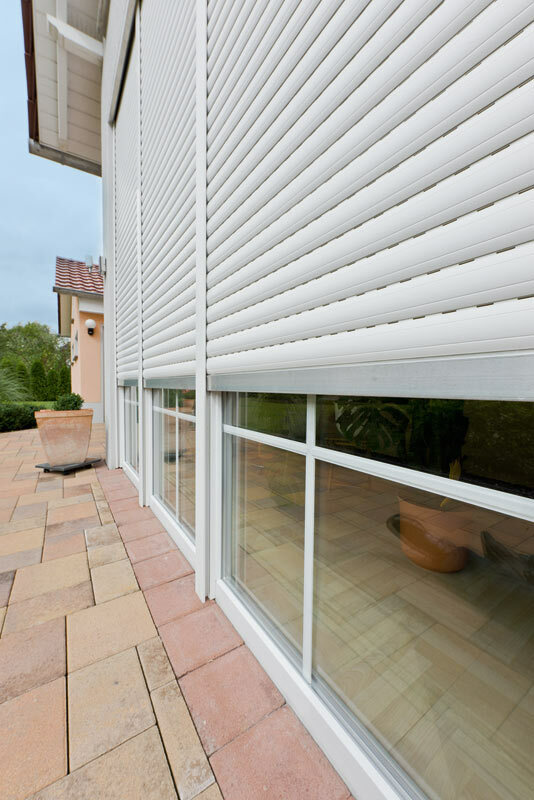 You won’t be dazzled by the sun’s rays and your furniture is protected against the bleaching effects of UV radiation. 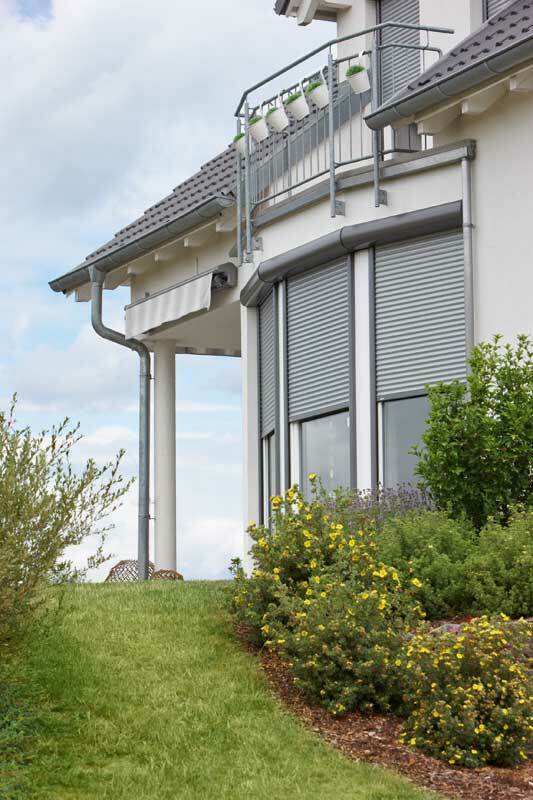 Before your windows can be damaged by rain, hail, snow or storms, protect them with your roller shutters. 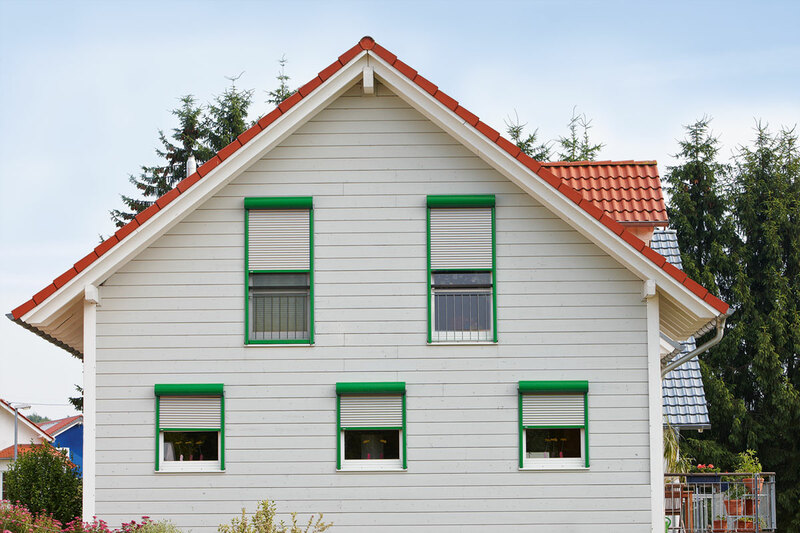 Your windows look good for longer and age more slowly. 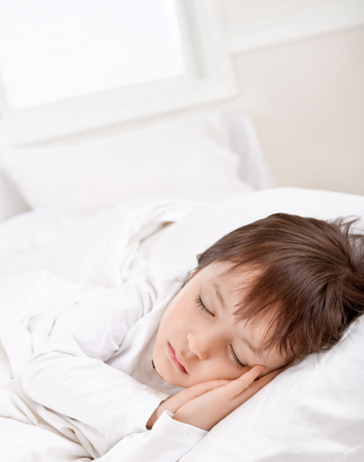 Relax and get a peaceful night’s sleep or enjoy days spent without anything to disturb your concentration – even if you’re just absorbed in a good book. 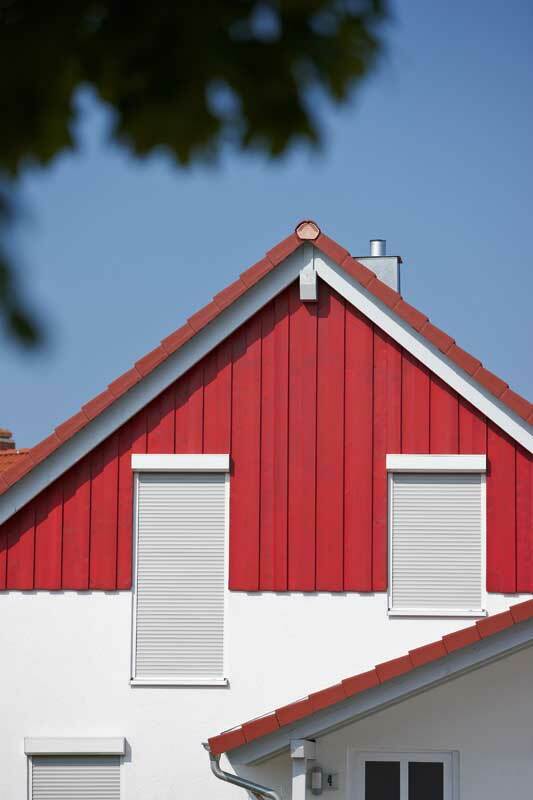 Your roller shutters can reduce distracting outside noises by 10 decibels. 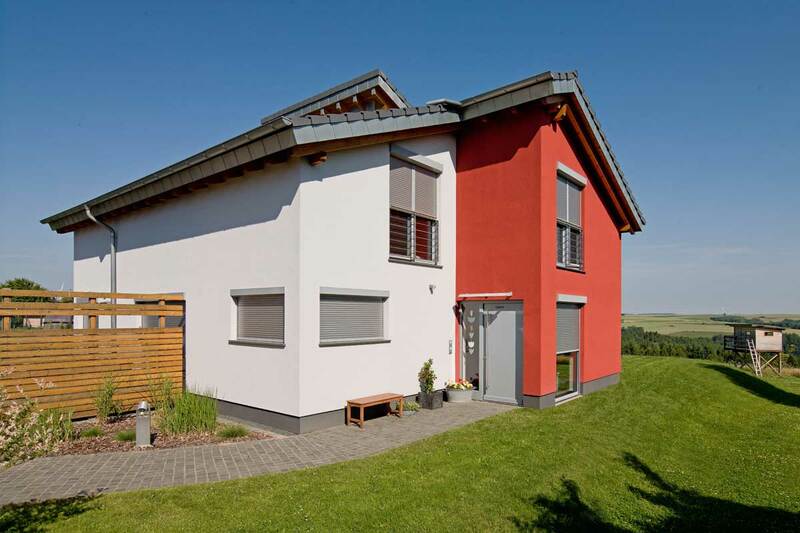 In winter, the cold is kept out and the heat is kept in. In summer, it is kept pleasantly cool inside as the heat is kept out. 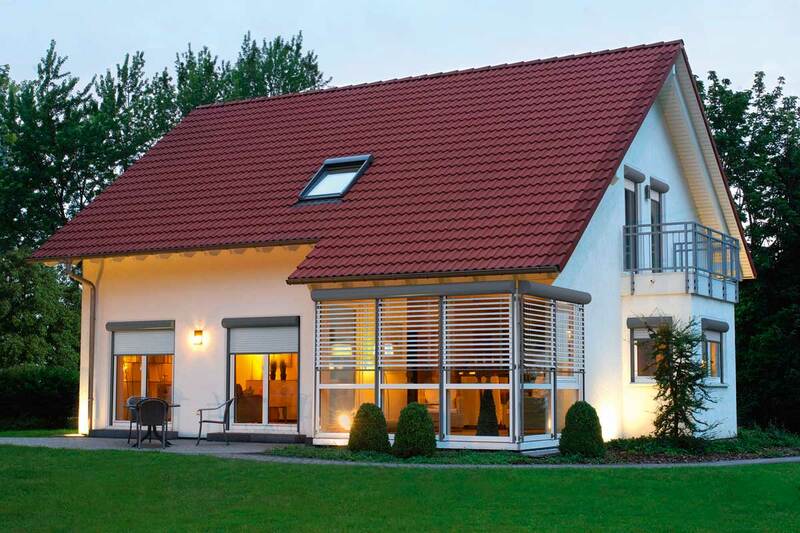 You enjoy a cosy indoor climate all year round while reducing your heating and air-conditioning costs. 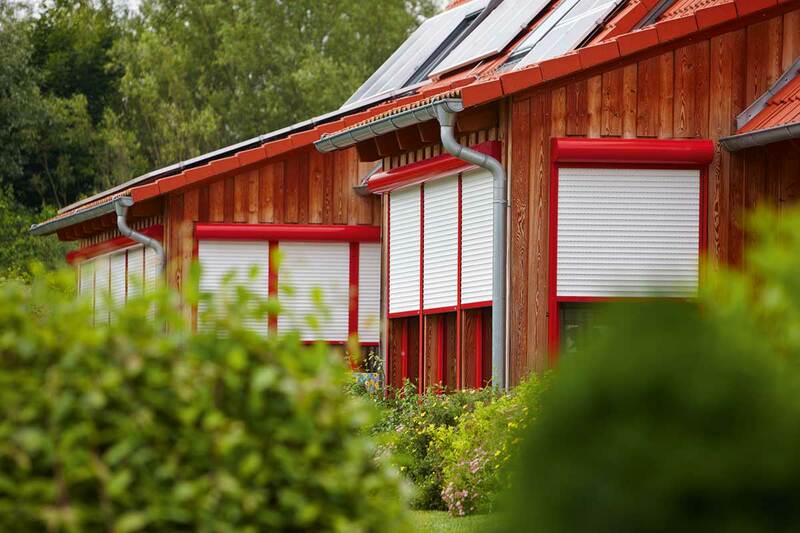 Roller shutters can improve the thermal insulation of your home by up to 45%, and 10% of the primary fuel consumed by your heating system can be saved. 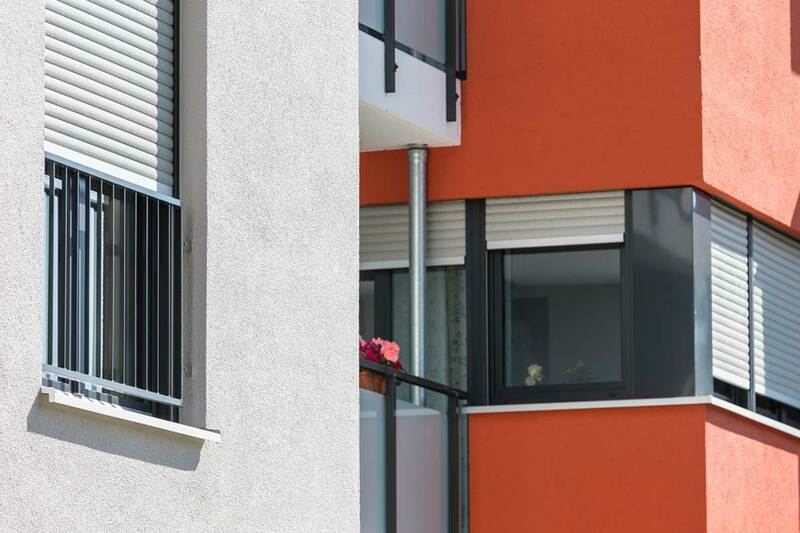 Thermal insulation also means that unwanted heat is kept out of the building in summer, which means that the energy consumption of your air-conditioning unit is likewise reduced. 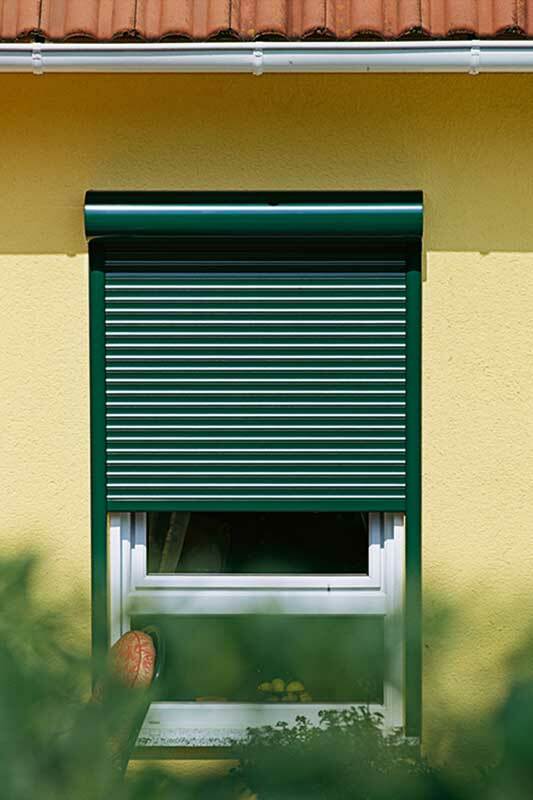 Hard times for burglars: our roller shutters keep intruders out. 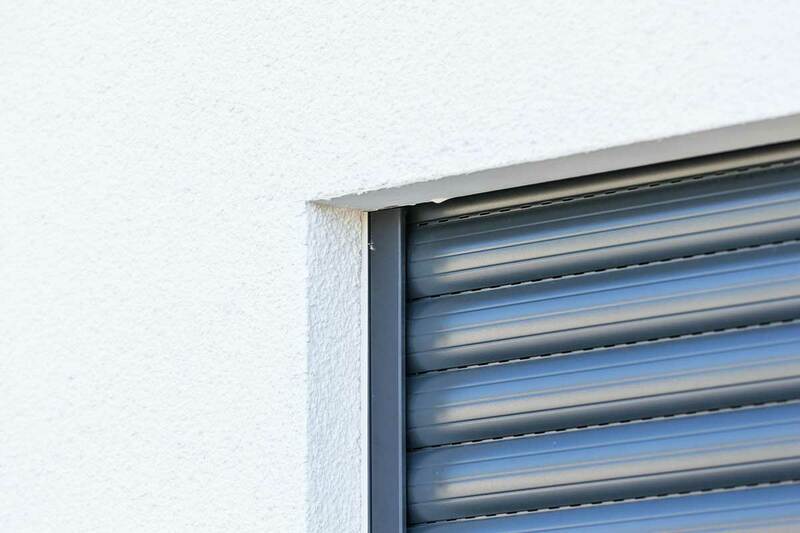 The rigid shaft connectors in motorised roller shutters and robust roller shutter curtains effectively increase protection against break-ins. 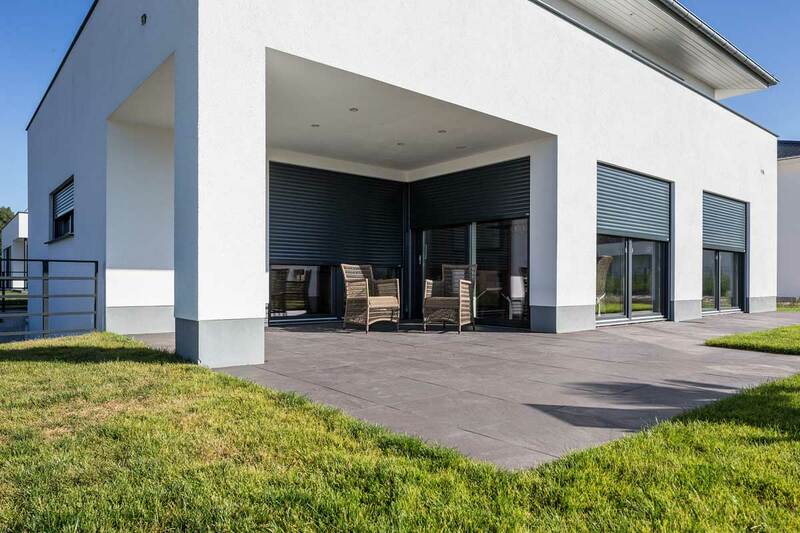 Automated roller shutters also make it look like you’re at home even when you’re not, and thieves gladly look elsewhere to go about their business. 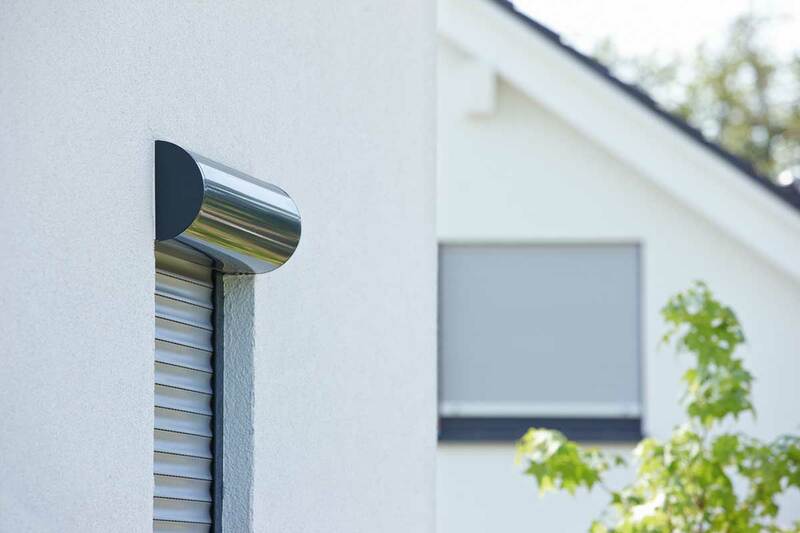 The Qompact series from Alulux offers a complete system with a small roller shutter box that ensures effective burglar protection for entrances, basement doors and windows. 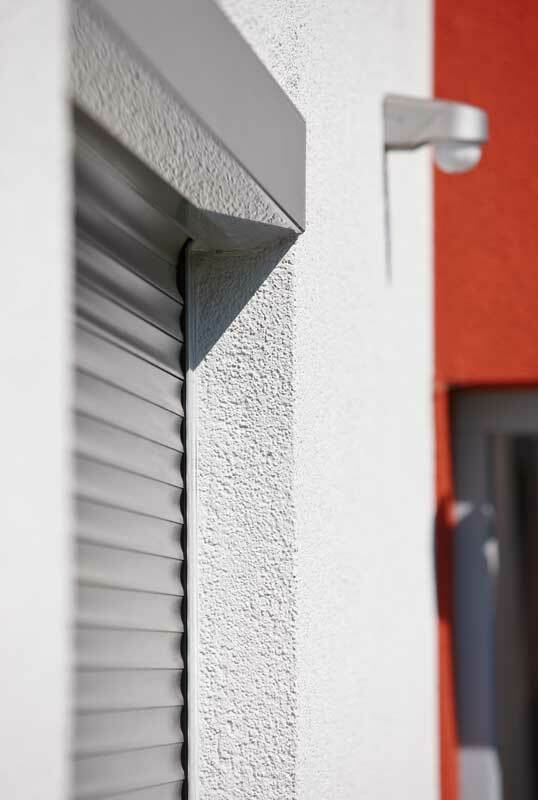 The extruded aluminium system is tough, impact resistant and designed to give a long-lasting life cycle. 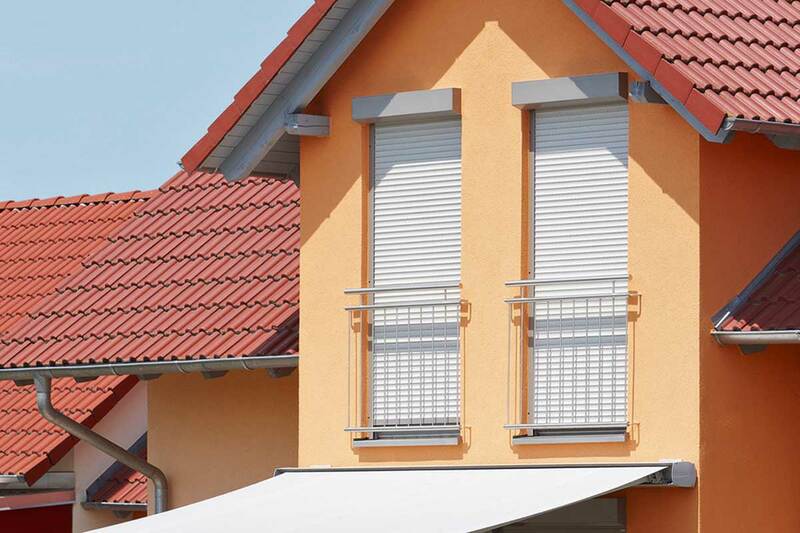 You direct the daylight coming in just the way you want it – with complete flexibility. 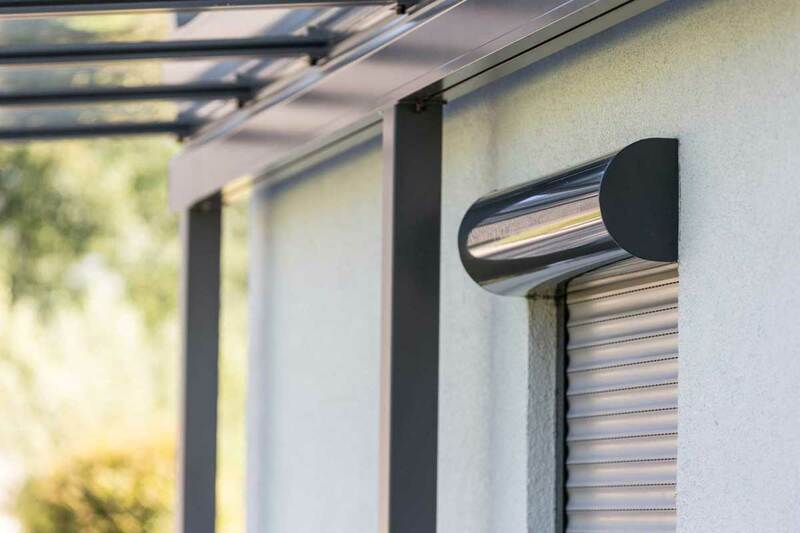 Our roller shutters help you to ensure the lighting is just right in your own four walls. 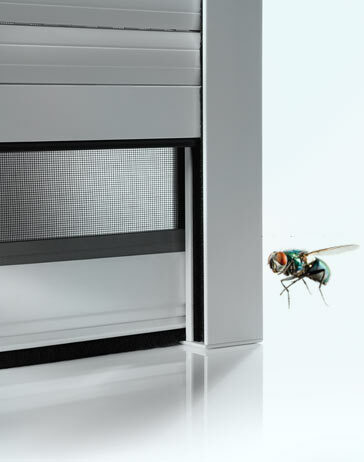 Our optional anti-insect system keeps insects at bay, but without stopping you from being able to see out. The transparent gauze screen makes this possible. 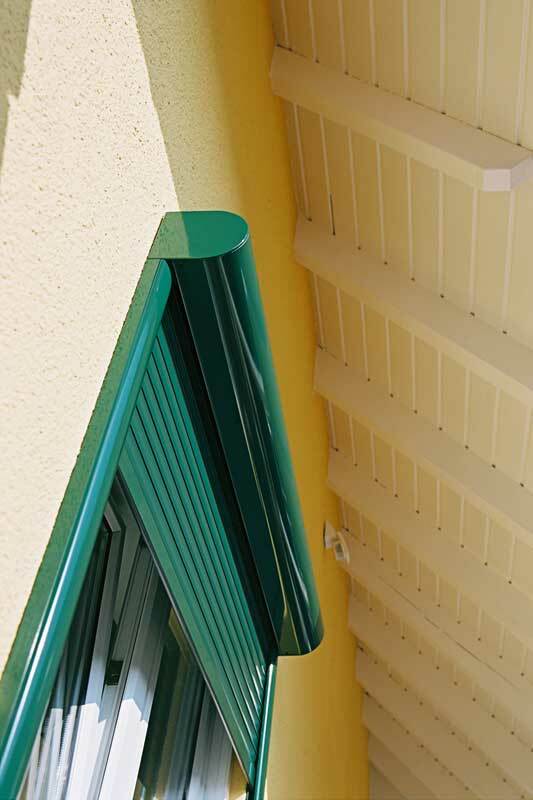 We integrate this insect screen in your roller shutter box. It has its own track behind the roller shutter curtain. 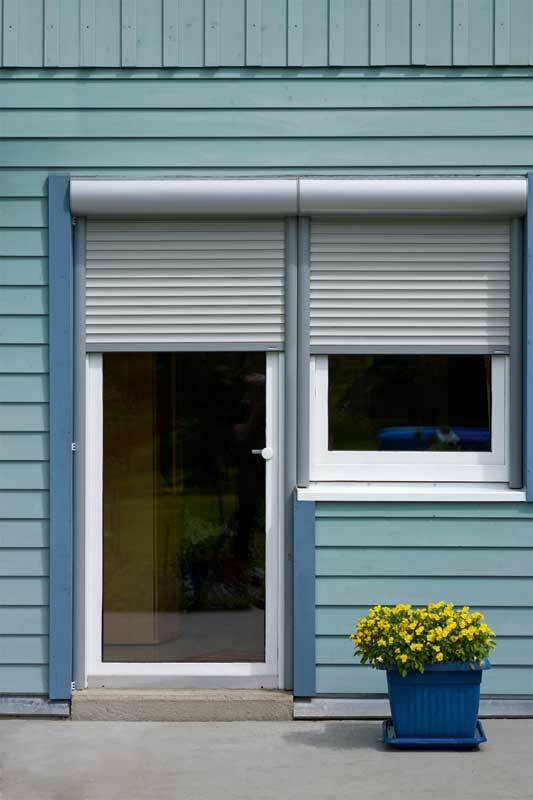 This gives you a 2-in-1 system, allowing you to open and close the roller shutters and insect screen independently of one another. 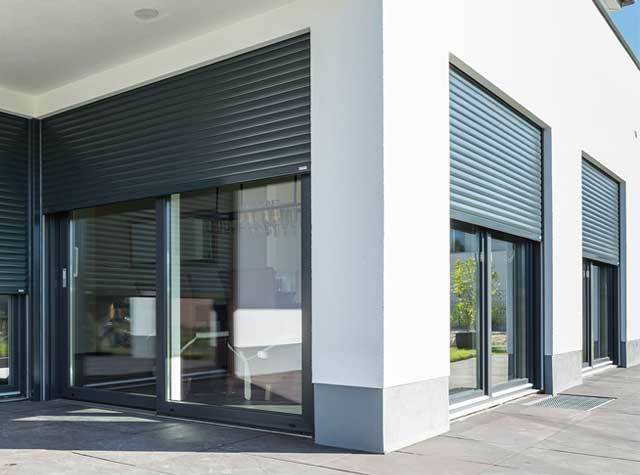 Our roller shutters – both curtains and boxes – are manufactured in Germany in accordance with the relevant EU quality standards. All components meet the require criteria. 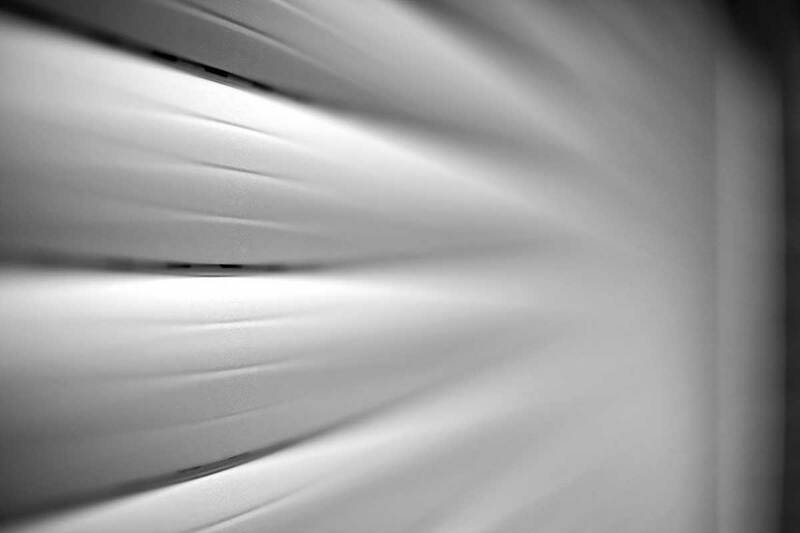 Operational reliability and protection against material damage and personal injury are guaranteed. 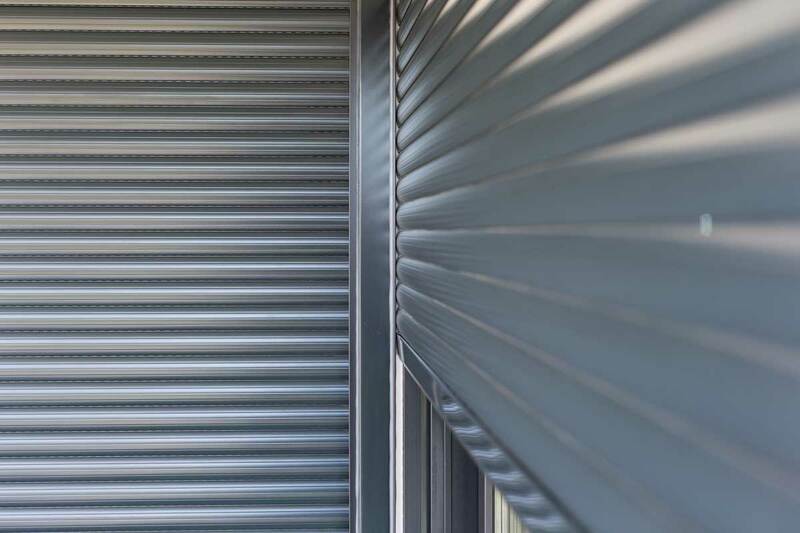 The standardised design of our high-quality roller shutter profiles means that they are compatible with all roller shutter boxes customary in the market and can be accurately adjusted. 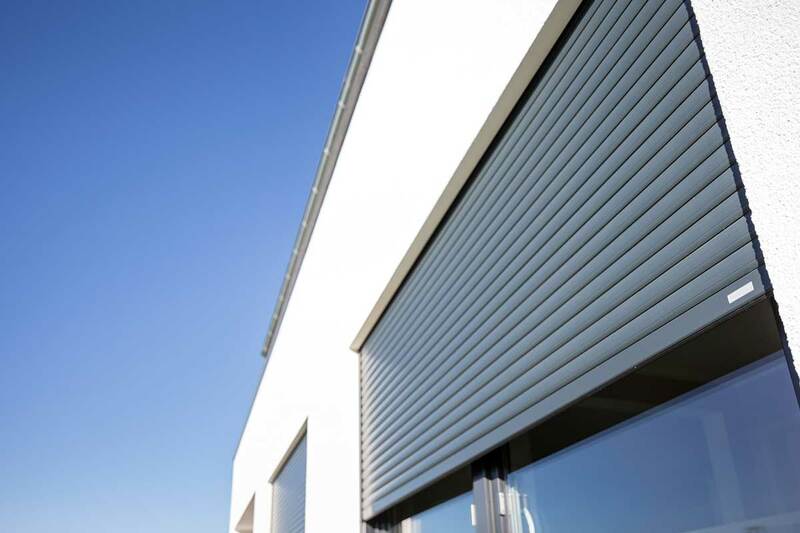 When our roller shutters are closed, they form a highly-insulating air cushion. 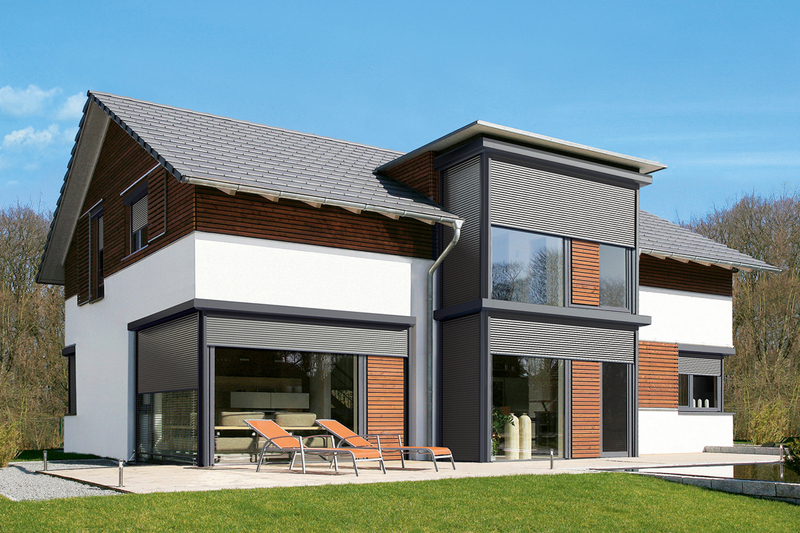 This allows you to improve your thermal insulation by around 45%, save 10% on your primary fuel and reduce outside noise by up to 10 decibels. 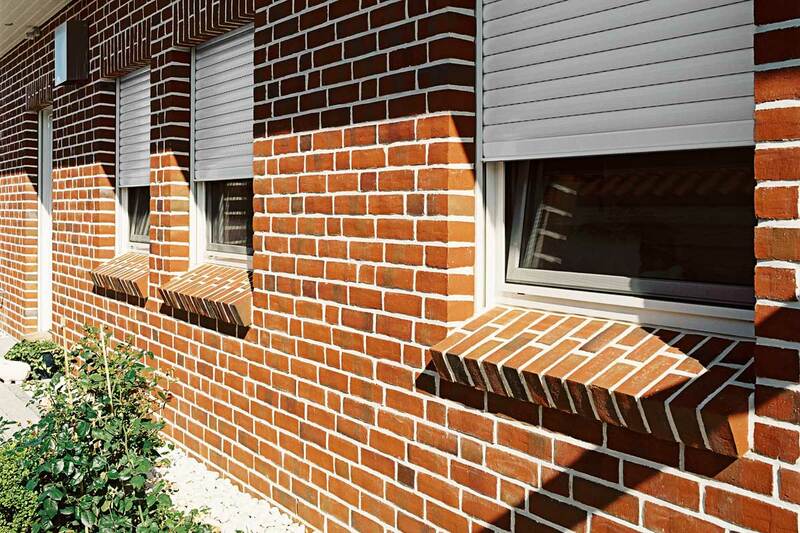 Heat and UV rays are kept out in the summer. And whenever you want, you’re protected from prying eyes. 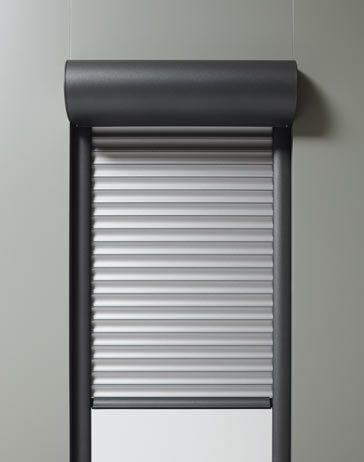 The optional insect screen is invisibly integrated into the roller shutter box. 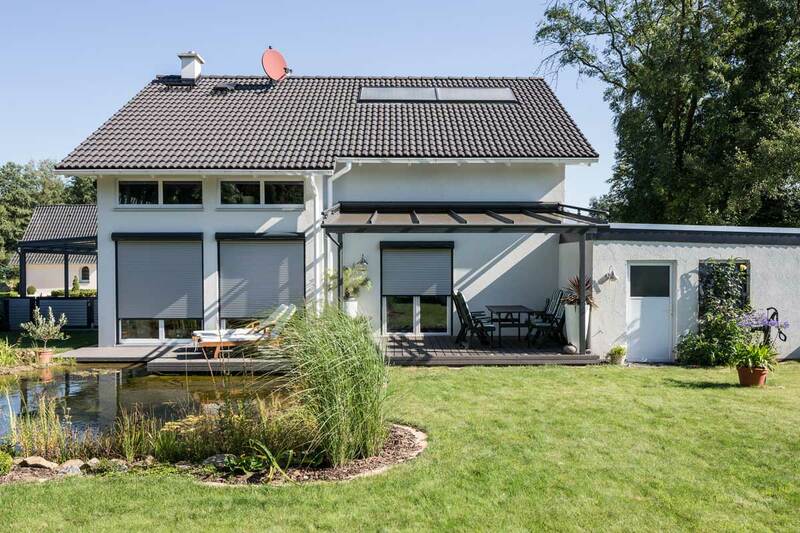 It is composed of a transparent gauze screen, blocks out insects and allows a good view through to the outside. 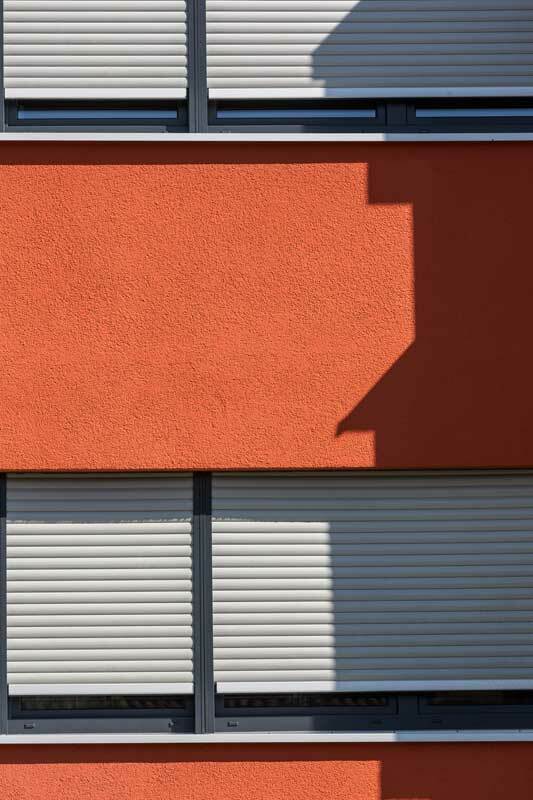 Our insect screen is guided in its own track behind the roller shutter curtain. 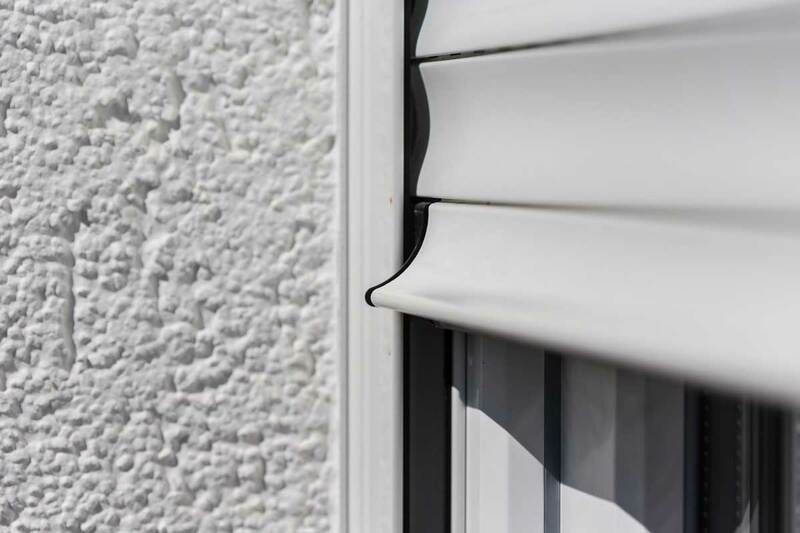 Motorised elements stop the roller shutter from being forced up and make it more difficult for intruders to break in thanks to rigid shaft connectors. 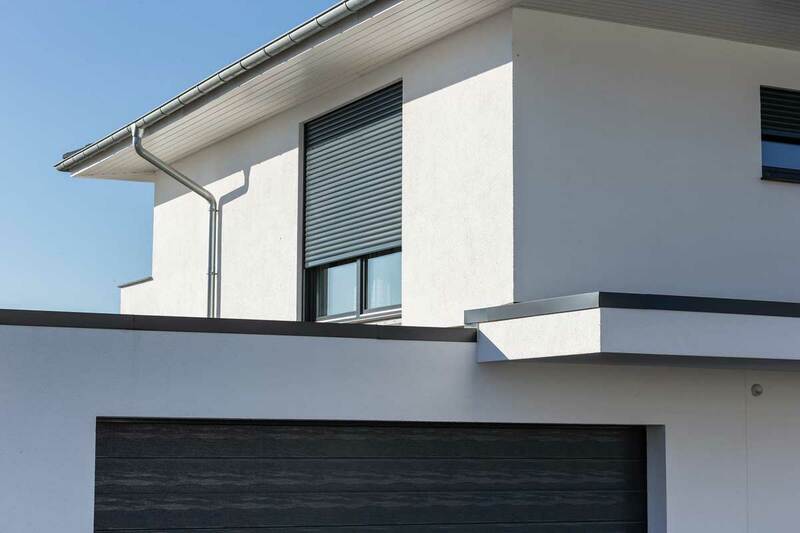 Automated roller shutters add an extra layer of break-in protection by making it look like you’re at home even when you’re not. 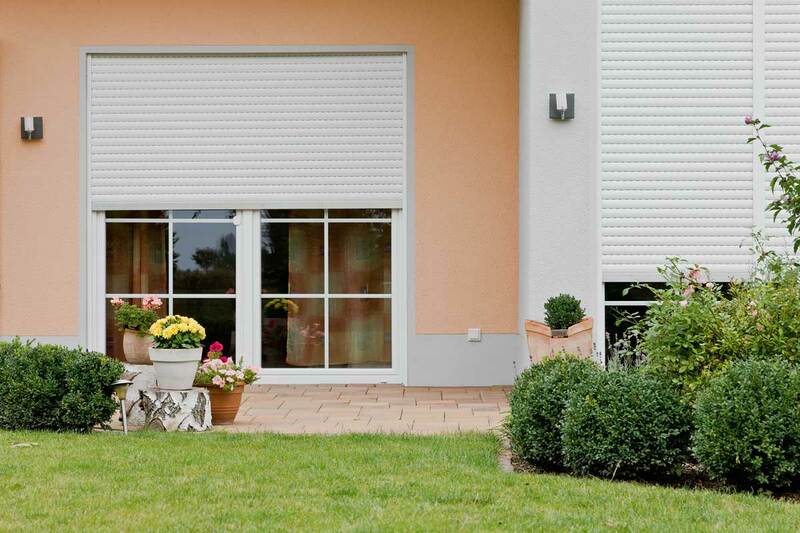 Your roller shutters will open and close at set or varying times. 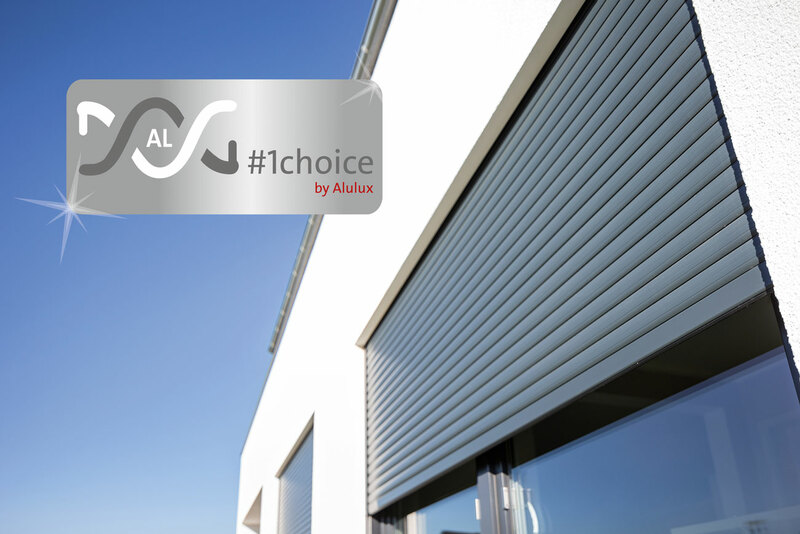 Alulux roller shutters are smooth, quiet and easy to operate. 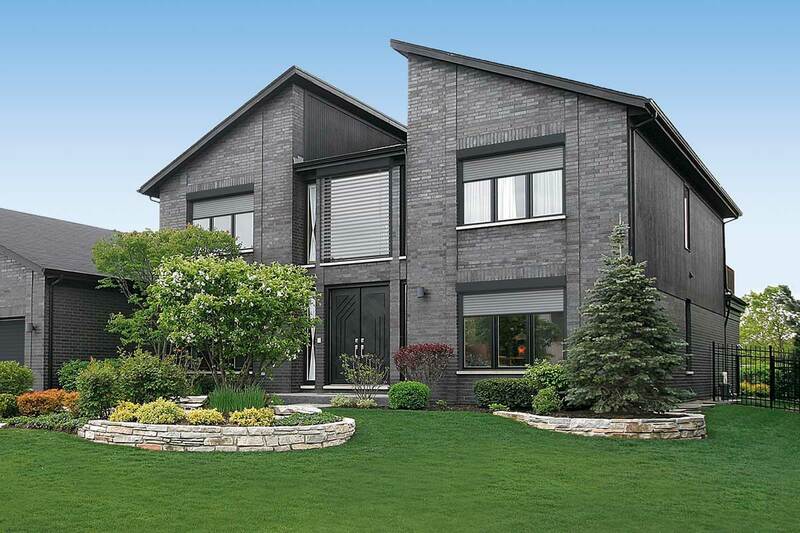 They provide you with numerous options to make things more convenient for you – such as radio-remote operation. 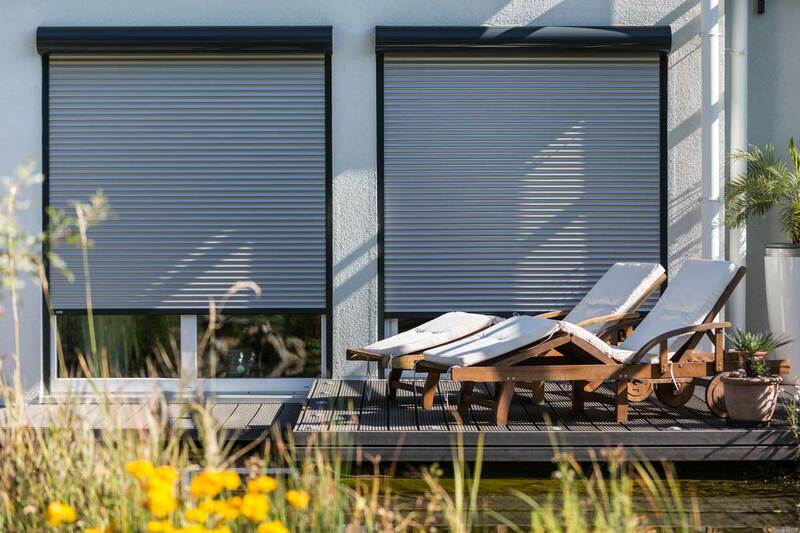 This gives you all the functions in the palm of your hand, allowing you to control individual roller shutters or groups of roller shutters easily from wherever you are. There is no need for electric cables. 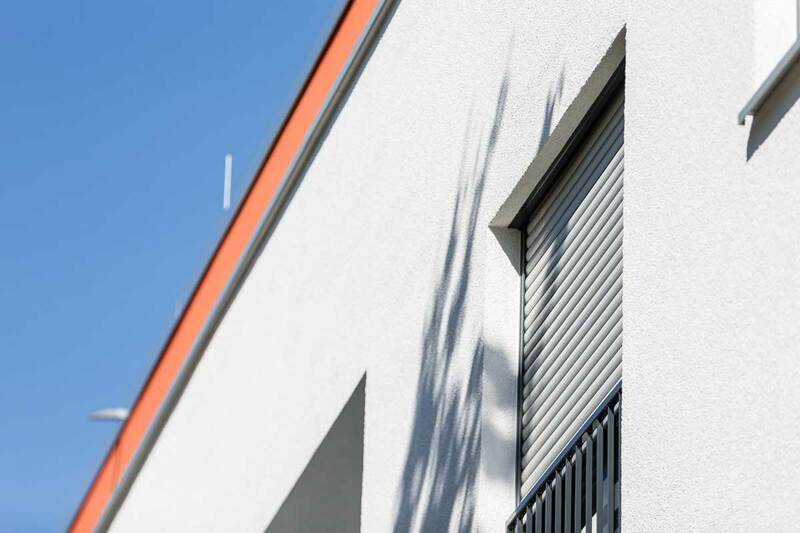 The programmable timer switch allows you to open and close your roller shutters completely automatically – even when you’re not at home. You don’t need to worry about it. 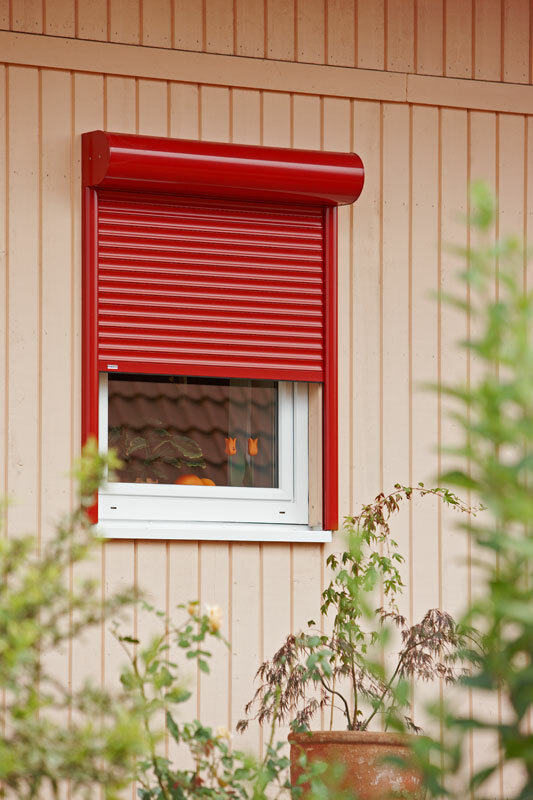 The holiday setting makes it look like you’re at home at varying times, providing additional break-in protection. 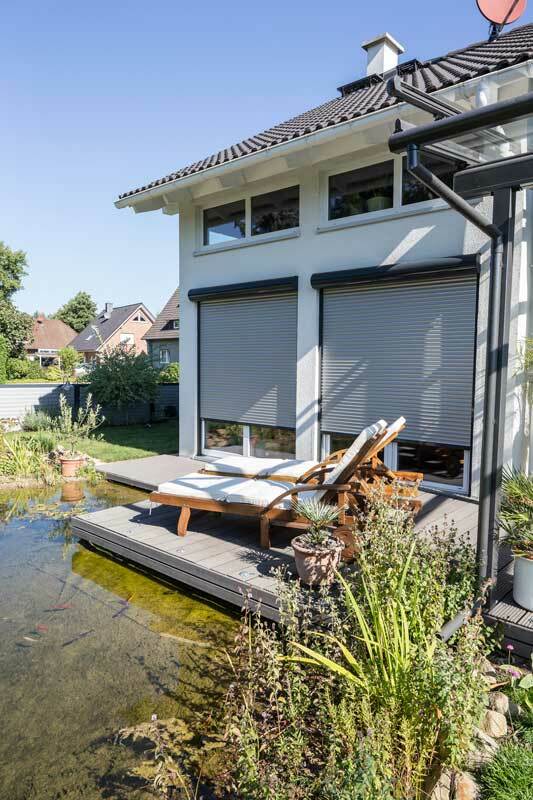 Automated roller shutters also save more energy. 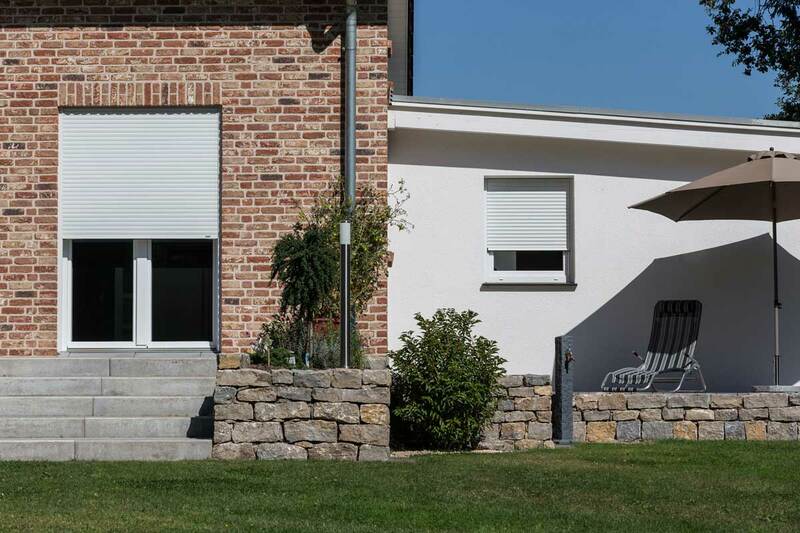 io-homecontrol® allows you to easily integrate your roller shutters into your home automation system. 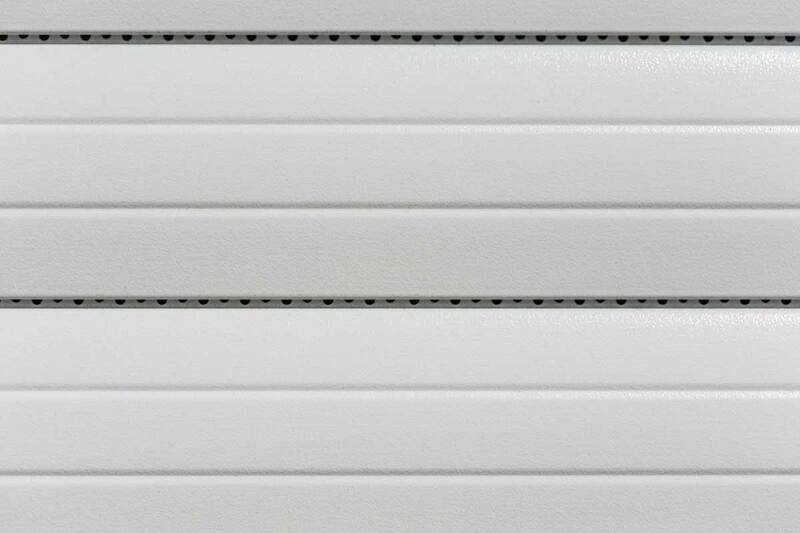 Our roller shutter systems are equipped with the appropriate interfaces on request. 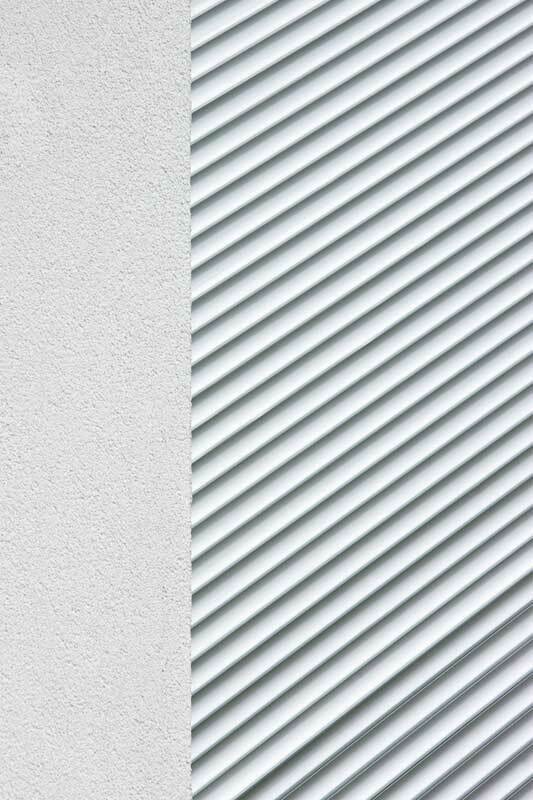 This enables you to network your house interior with minimal installation costs. 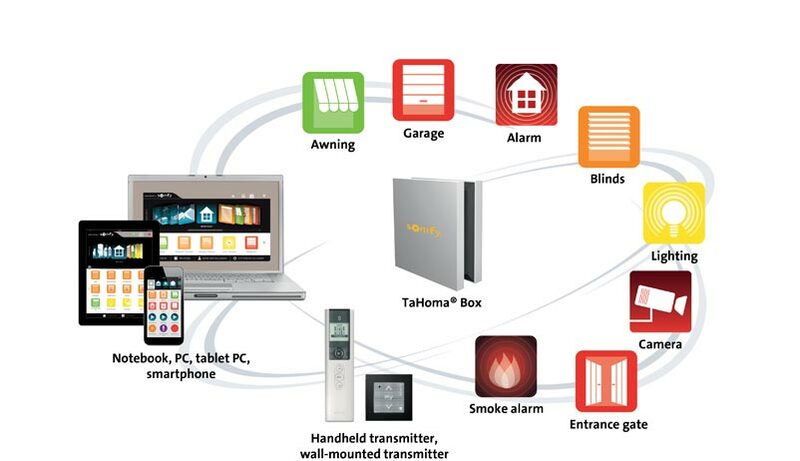 You enjoy the intelligent convenience of bidirectional wireless technology, program complex processes in an uncomplicated way and control your system remotely using your smartphone or over the Internet. Real all-rounders that always look great. 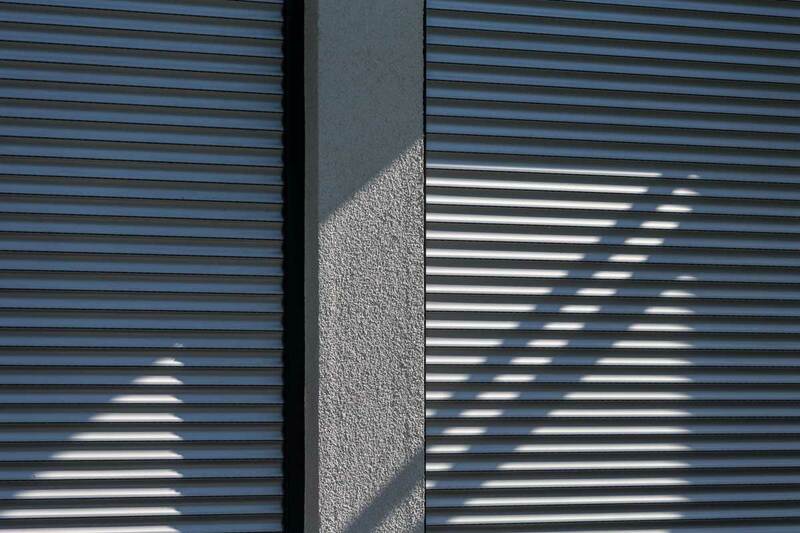 Just aluminium roller shutters. 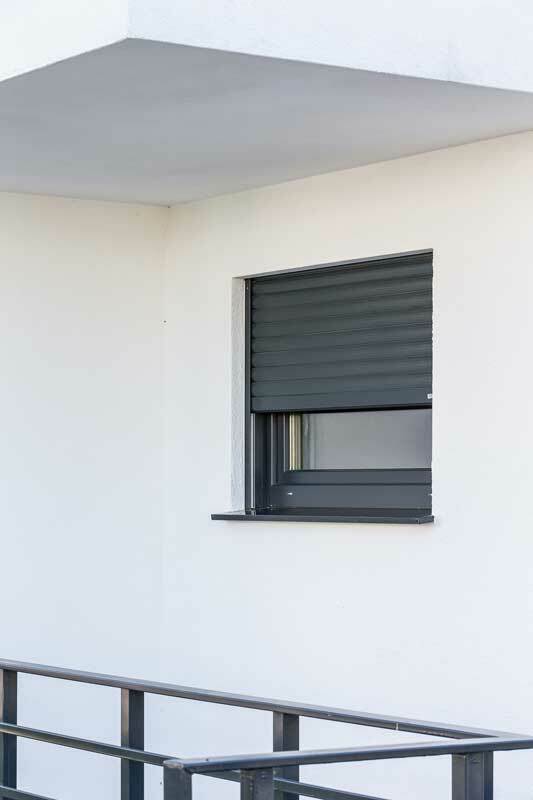 The insulating air cushion between the roller shutter curtain and the window greatly minimises thermal bridges. 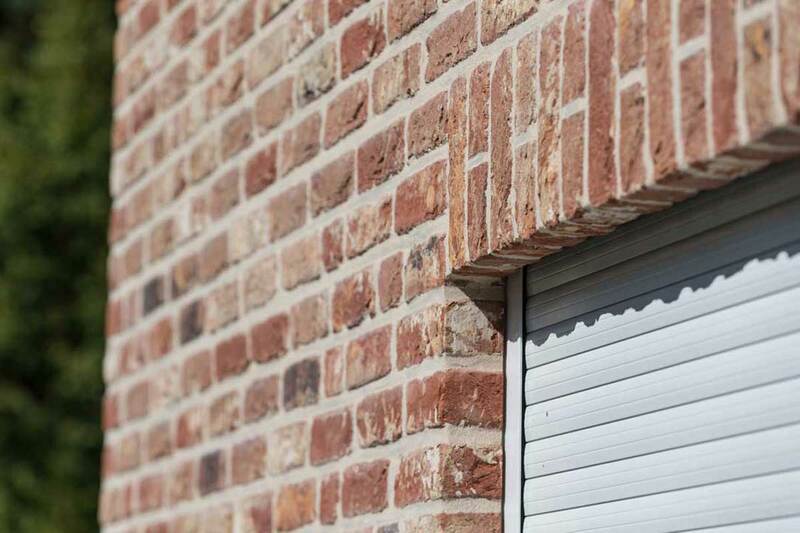 In order to fully exploit the insulating effect, our roller shutters produce a tight seal around the window area. The heat stays in and the cold stays out. On hot days, the reverse is true. 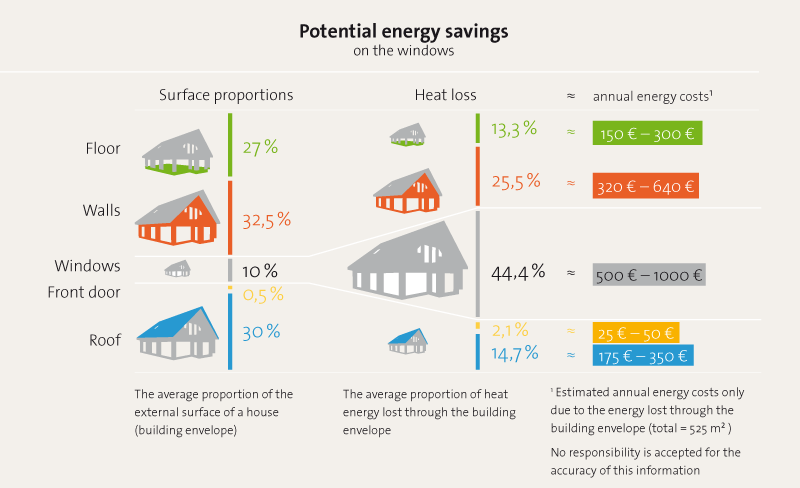 In both scenarios, you save energy and benefit from a better indoor climate. 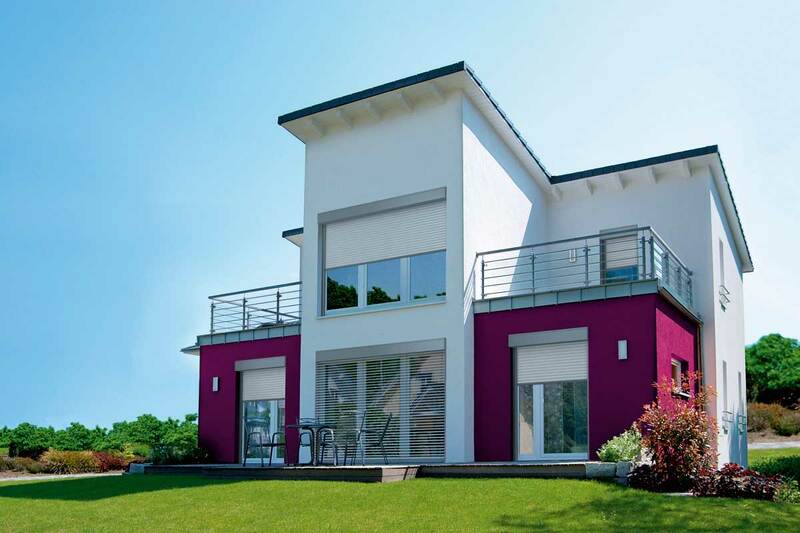 The U-value (heat transfer coefficient) measures the insulating properties of windows. The lower the value, the less heat there is escaping to the outside. 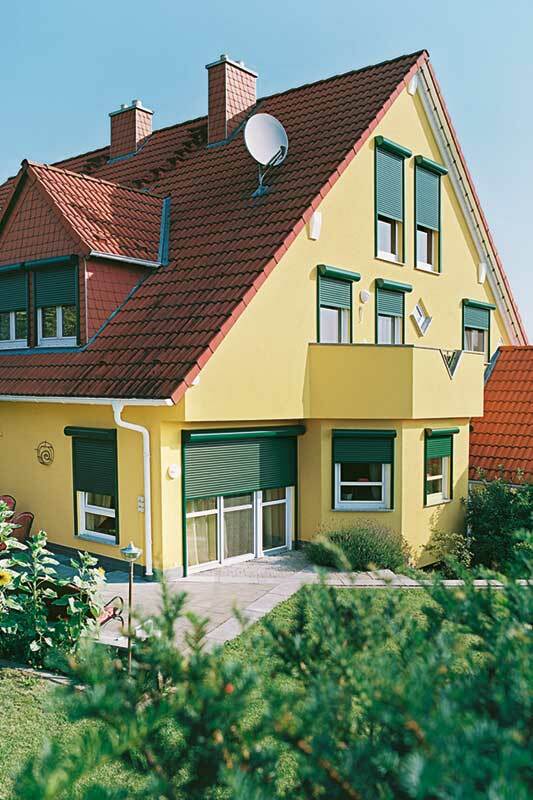 Front-mounted roller shutters can improve the U-value of 3 which older windows tend to have by up to 45%. 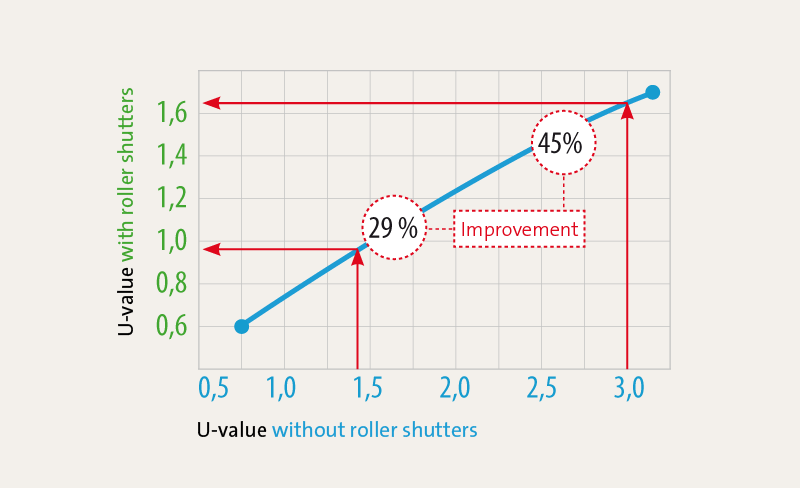 In newer windows (with a U-value of 1.5), this improvement can still be 29%. 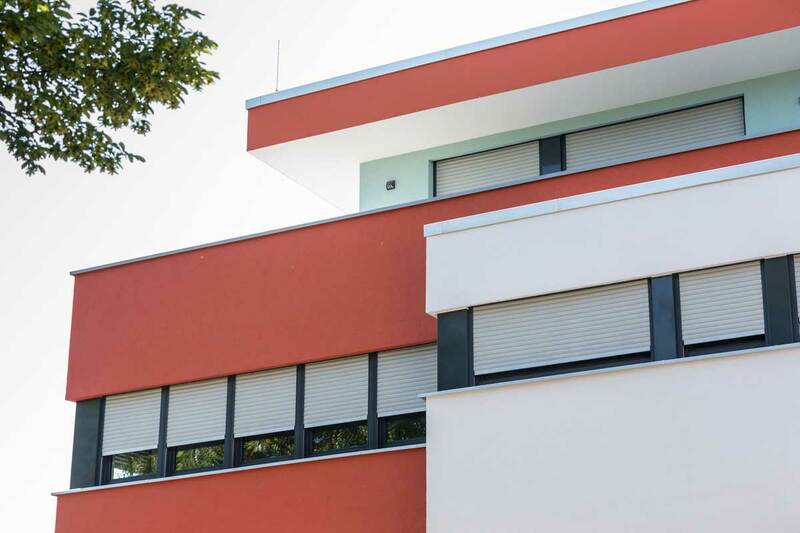 With energy-saving roller shutters, you’re investing in the right place. 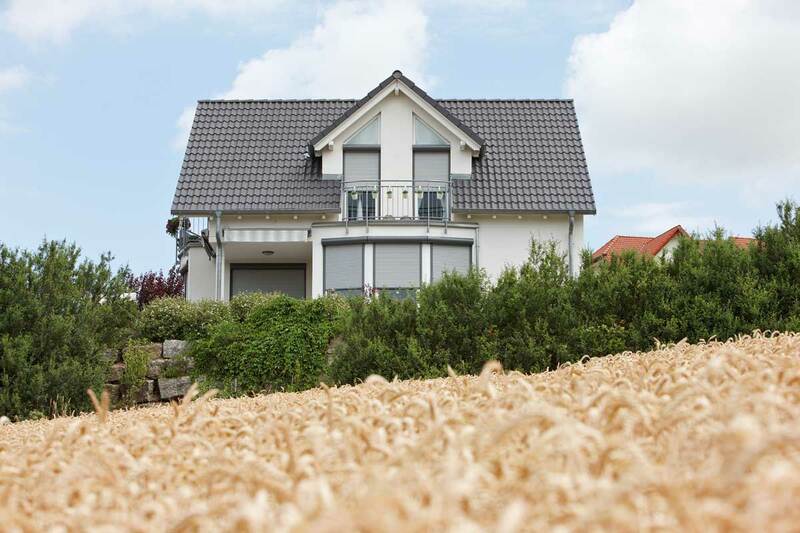 The investment-benefit analysis could hardly be more favourable. 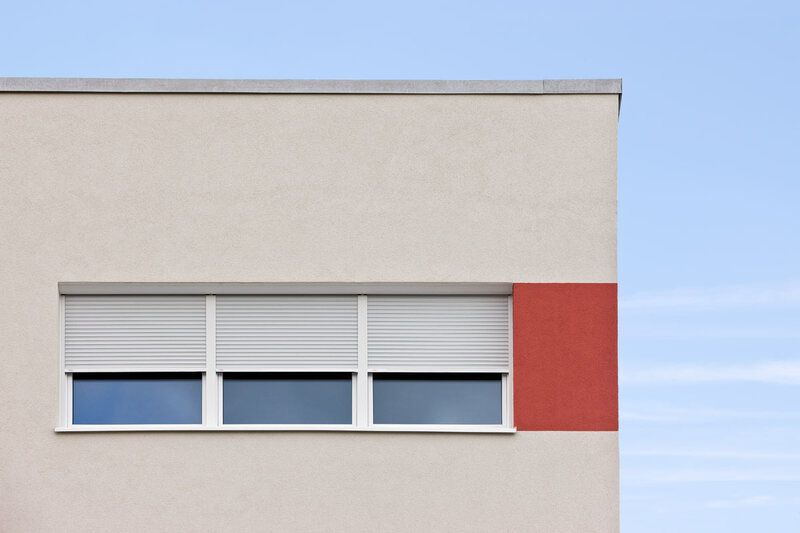 Although windows take up the least amount of space on a building’s exterior, they account for the largest portion of heat loss. 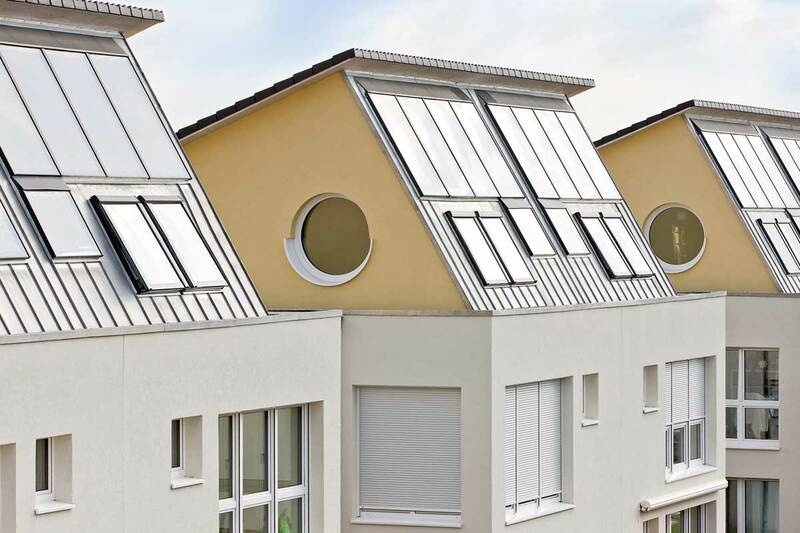 This means that, compared with other parts of the building, efficient insulating measures here are more economical and more effective. 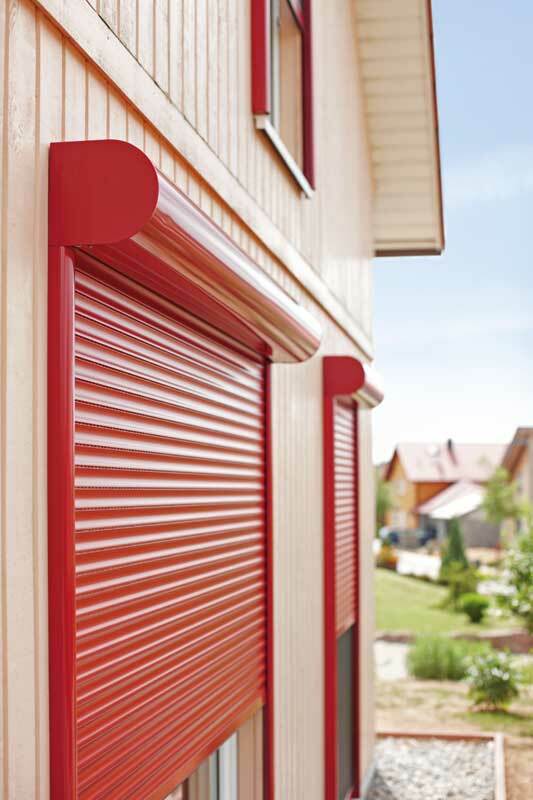 Closed roller shutters reduce energy losses by an average of 30%. 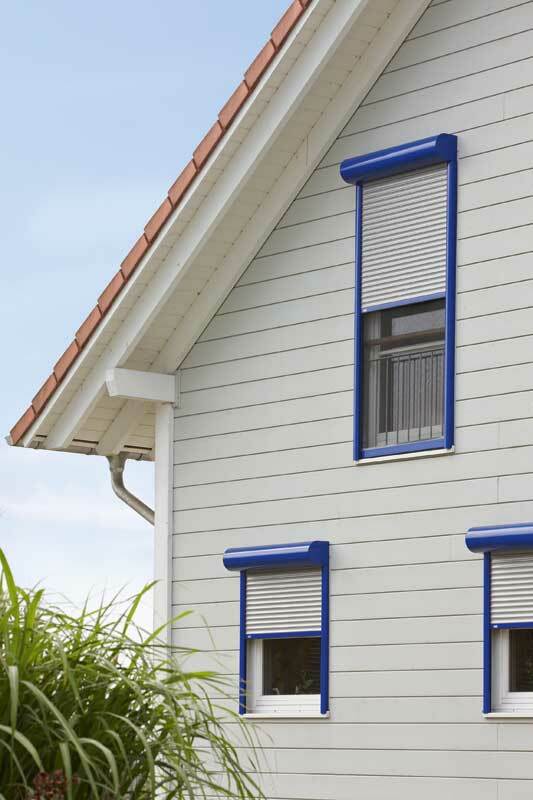 In older windows, this effect can be as high as 45%. 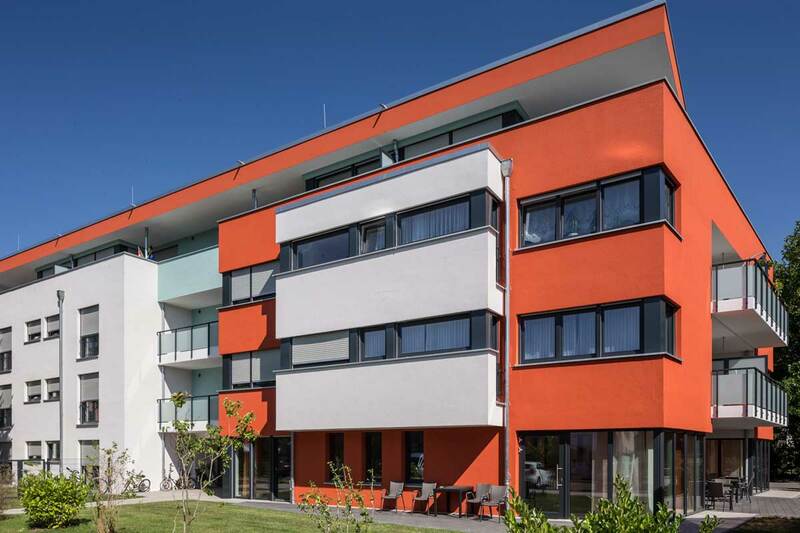 At spar-heizkosten.de you will find our energy-savings calculator, along with valuable tips and information for energy-conscious heating. 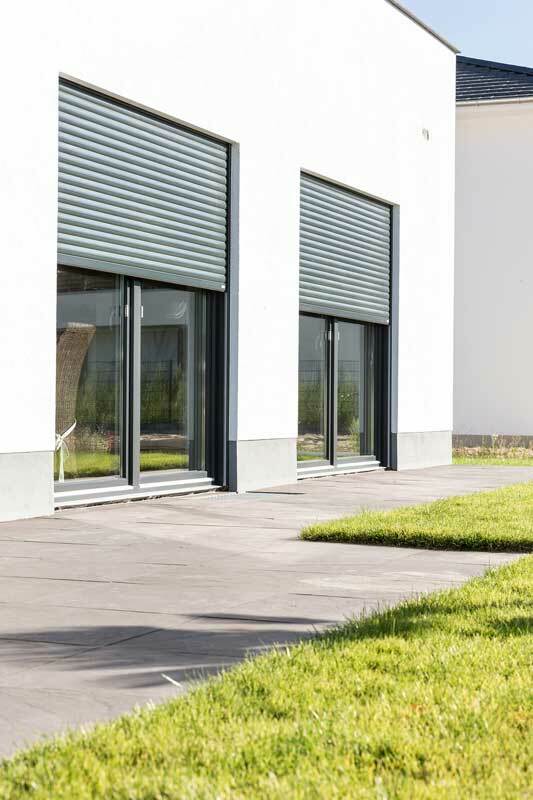 Easily calculate how much energy you save with front-mounted roller shutters. 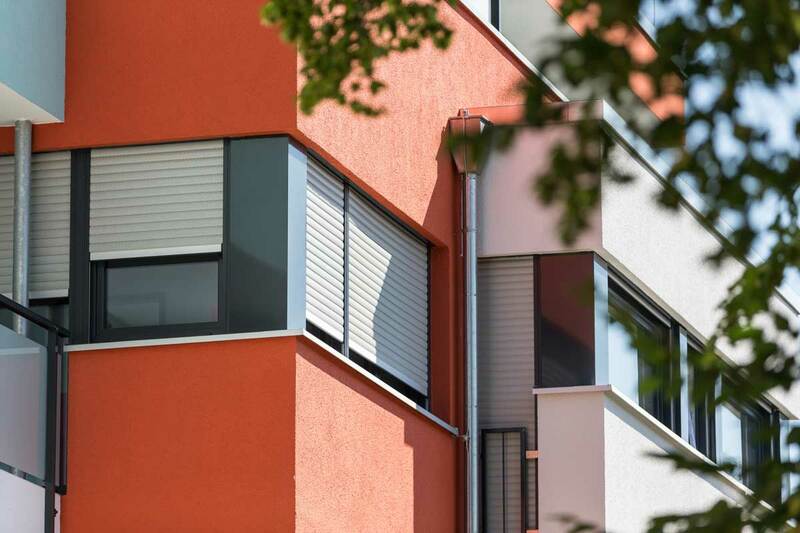 Find out details about the effects of roller shutters on energy consumption, about dynamic insulation and about how to optimise your heating usage and your spending on heating. 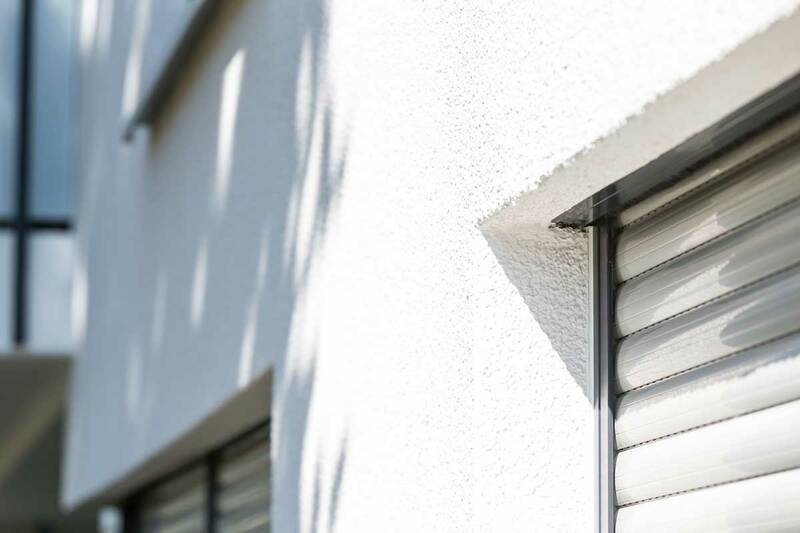 Colours, shapes, patterns and styles: with our extensive design range, your roller shutters become high-quality design elements that are exactly to your taste. 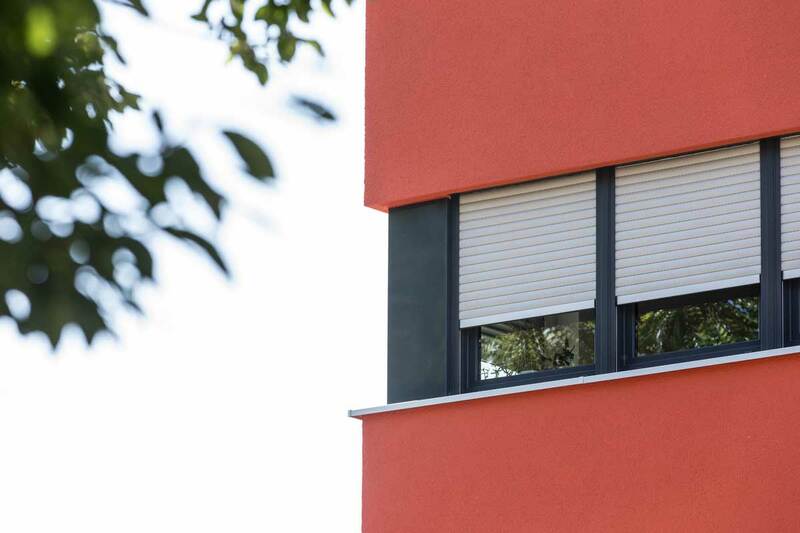 Whether you want to make a statement or you’d like to integrate your roller shutters discreetly into the façade of the building.